watch which is very reasonable to purchase. Thank you so much! I received this beautiful watch form my folks for my birthday. Im always telling my dad how his collection from you folks is nice and now I proudly wear my own. My husband has a beautiful Stauer Dive watch and he thought I needed a good watch. I saw this one and could not resist. When it came it was easy to put on and very easy to set the watch. It is very comfortable on and looks so stunning. You can't go wrong buying this watch. 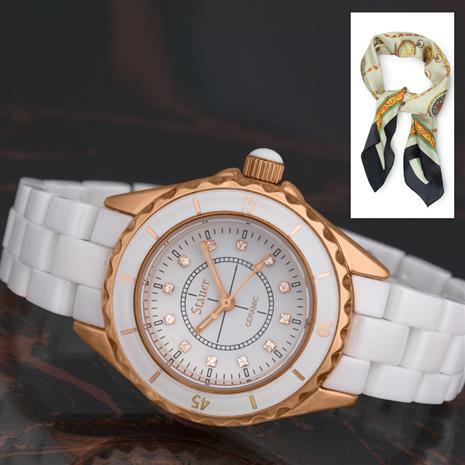 White ceramic watches are the hottest designer item going today. Which usually makes them overpriced. There are ceramic watches out there tipping the scale near ten thousand. Well, we know how to get our customers the best timepieces without breaking the bank and the Elegante Ceramic Watch is no exception. It combines durability and trend-setting charisma to create a contemporary gem. Made from ceramic, its durability and wearability defines its nature. Ceramic is lightweight, tough and incredibly scratch-resistant. 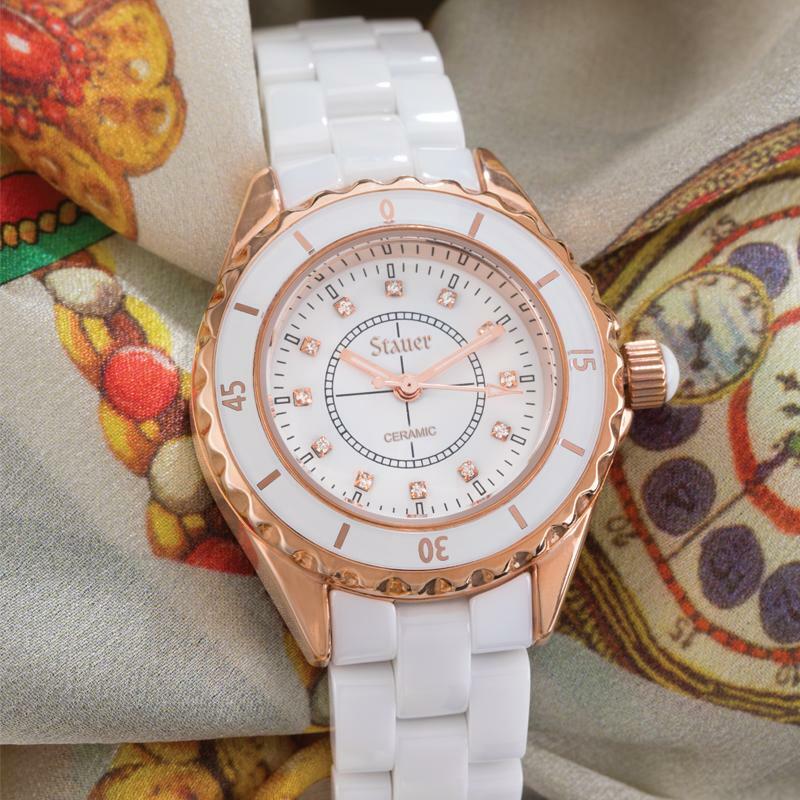 The luxurious rose-gold finished bezel crystal studded hour markers elevate this beauty to an everyday companion that goes effortlessly from errands to dinner without missing a beat. Crafted with precision movement and water resistant to 3 ATM, the Elegante is as functional as it is fashionable.